I’ve spotted the trend of deep purple lips on celebs everywhere recently and I am in LOOVEE! I love bold lip colors in the summer and this is the perfect way to transition them into the fall. I caught wind on twitter that Teyana Taylor’s purple lippy of choice is NARS Velvet Matte Lip Pencil in “Train Bleu” available here. This color is definetly on my wishlist for fall! 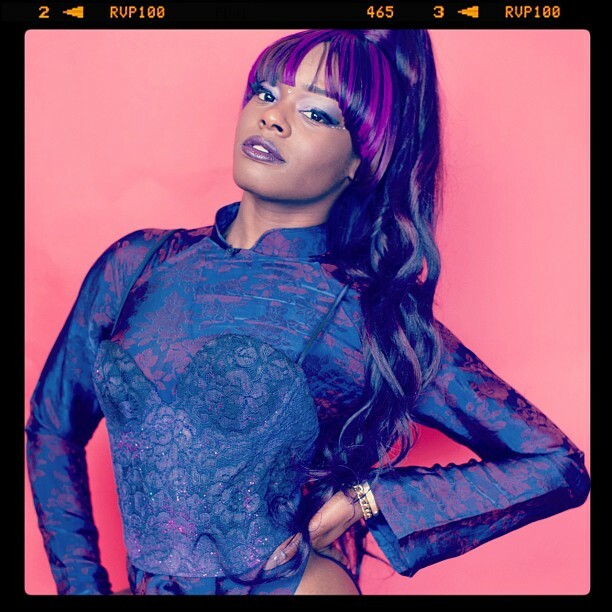 Azealia Banks recently released her own deep purple lipstick in collaboration with MAC for FNO. The limited edition color is currently sold out on MAC’s website but its available here on ebay. My boo Rihanna is always on trend. She rocked the Aubergine lip trend while opening the MTV VMA’s. I’m not sure exactly who her lip color is by but I’m guessing it’s the same NARS lip pencil worn by Teyana Taylor above. && If you’re a beauty on a budget check out Revlon Super Lustrous Lipstick in “Va Va Violet” available here and drugstores nationwide. Check out my swatch here. 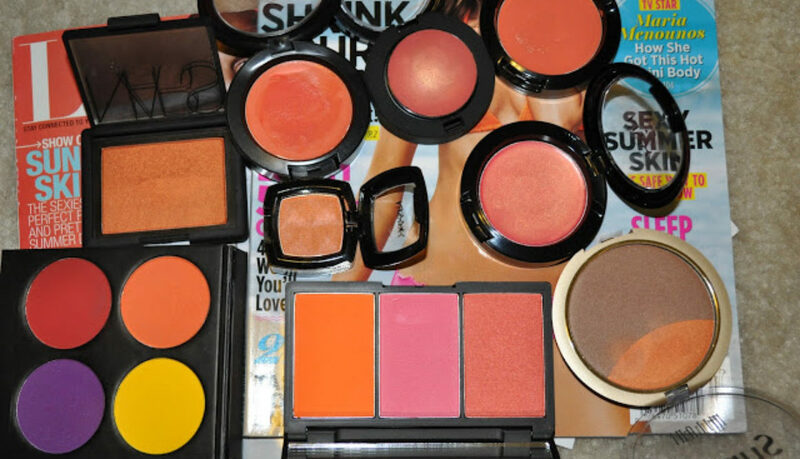 Continuing with my orange series, I’ve come back with my fave the BLUSHES! As you can see I have quite a few orange blushes in my collection. Tickled is very sheer, perfect for anyone who wants to ease their way into wearing bolder colors. Orange eyeshadows also make great blushes, case in point SugarPill Flamepoint (upper left).